New Large 50 oz. 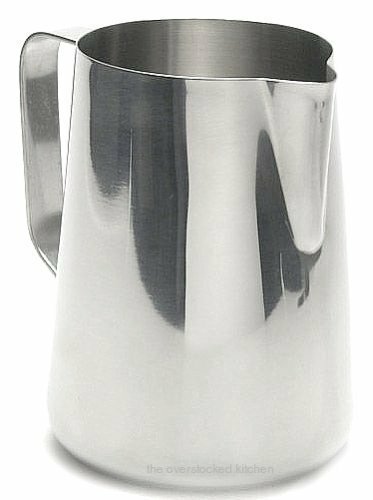 (Ounce) Espresso Coffee Milk Frothing Pitcher, Steaming Frothing Pitcher, Stainless Steel (18/10 Gauge) - Set of 12 by Update International at Jakis Cafe. MPN: EP-50A-12. Hurry! Limited time offer. Offer valid only while supplies last. This high-grade stainless steel (18/10 gauge) frothing pitcher is a must addition to your home or professional espresso coffee barista station.